Many adults easily identify themselves as readers but hesitate to call themselves writers. How about our students? Do they believe they are writers? When did they first know they were a writer? Since so many adults don’t believe themselves to be writers, when/why do our students stop believing in their writing identity? 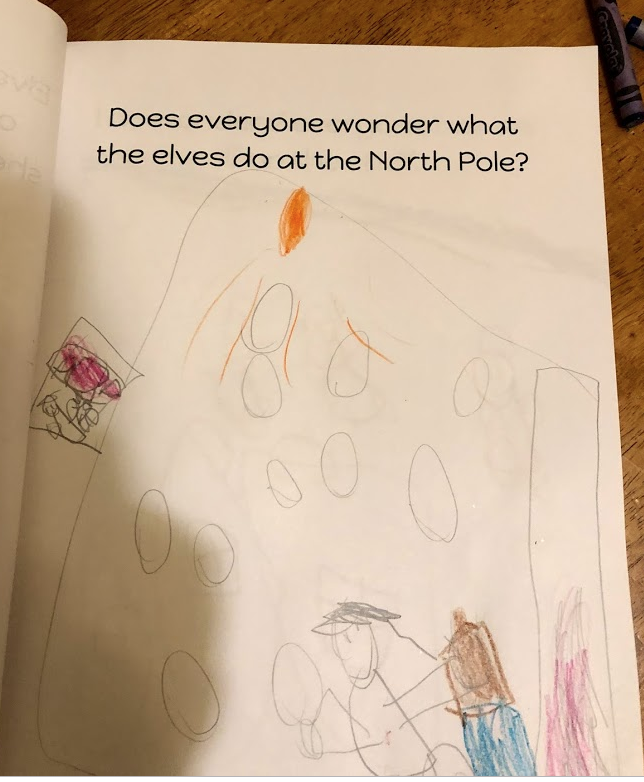 As a teacher, these questions fascinate me. When I was pursuing my Masters degree in Literacy Studies, I reflected quite a bit on my own early experienced with writing. I thought of being surrounded by books and being told stories from a young age. 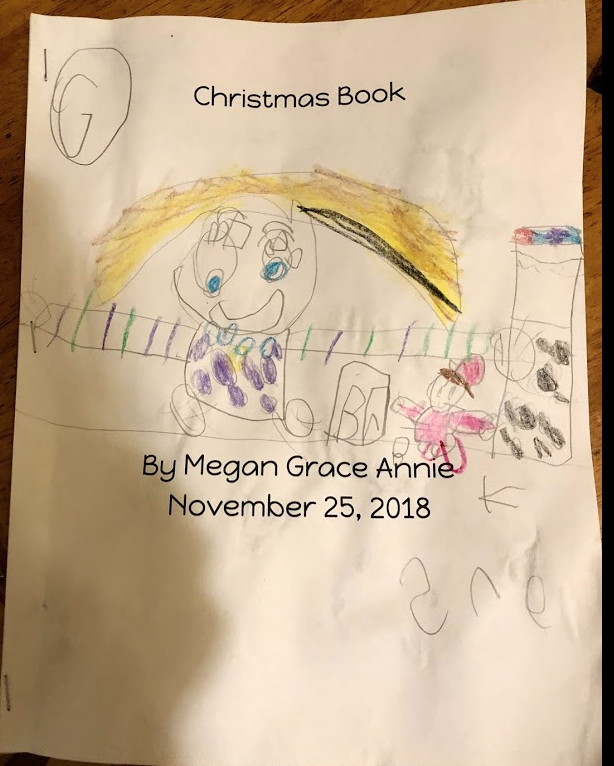 I remember creating books with my sister about the stories our Grandma told us about “Good Gertie” and “Bad Betsy.” For many years, I taught kindergarten and watched young writers develop. Now, as a mom, I’ve watched the process unfold for my children. 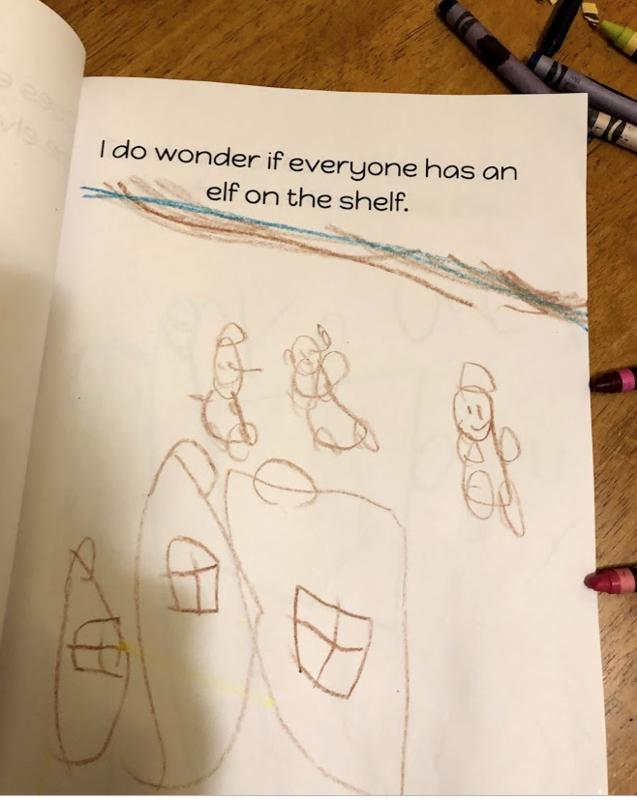 One of Megan’s early pieces of writing, done around age 2. 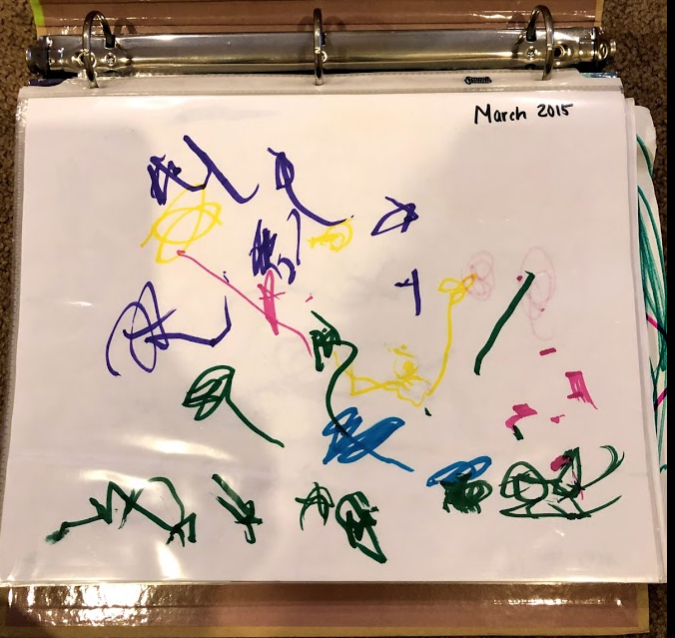 Her aunt gave her a binder to keep her stories and artwork. Megan would dictate what she wants to write and I would type it for her. We would search for images and sometimes she would illustrate the pages with her own drawings. Megan’s earlier books were often driven by the images she selected. 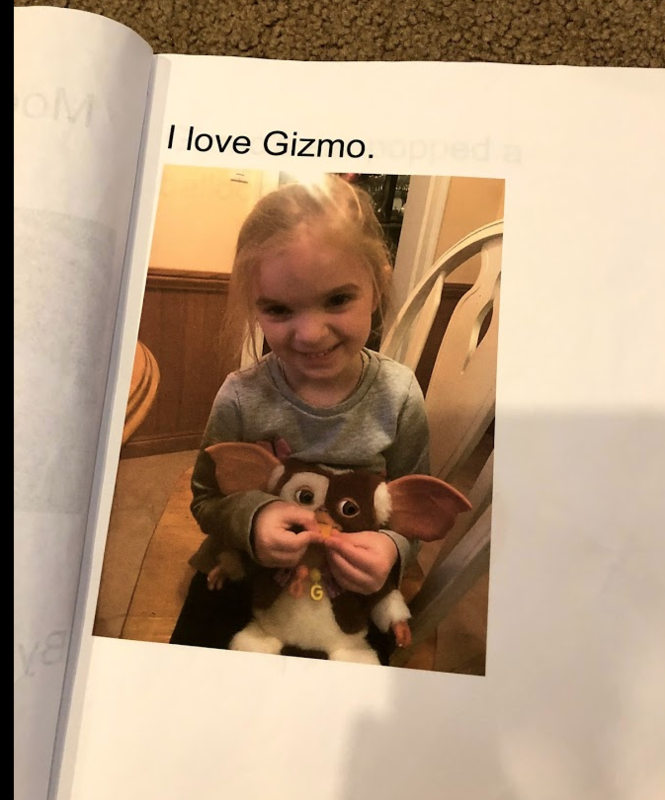 Last Christmas, Megan got Gizmo from Gremlins as a Christmas gift (It’s a long story.) He became one of her favorite friends and she dictated a book about him. 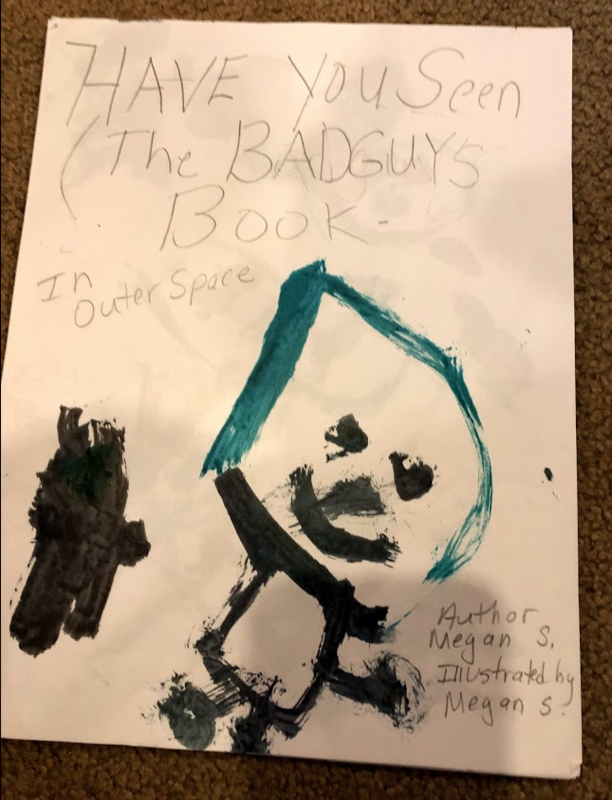 Last summer, I read The Bad Guys series to my children. (Such a fun series!) 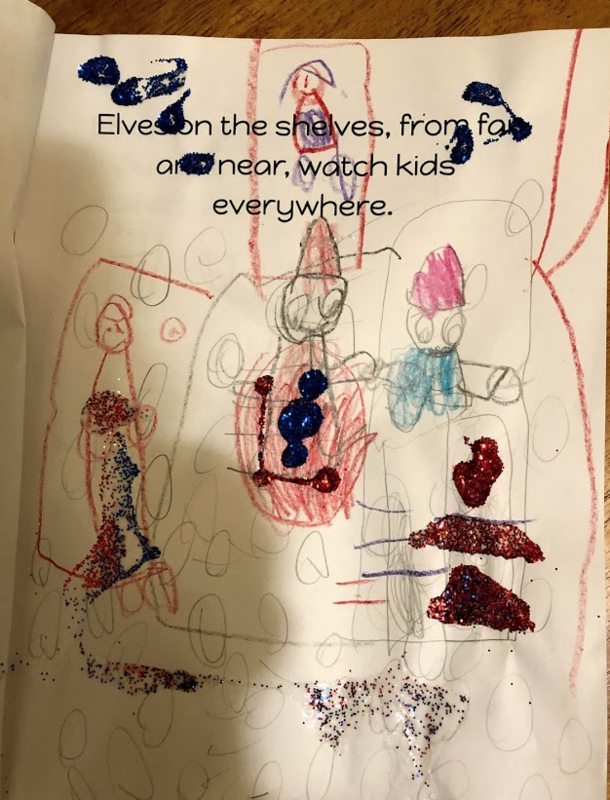 Megan was inspired by the story to write her own “fan fiction.” My mom helped write the words Megan dictated and then she water color painted her illustrations. Kelsey’s recent post, Words Don’t Make a Writer, resonated with me as a mom and a former kindergarten teacher. 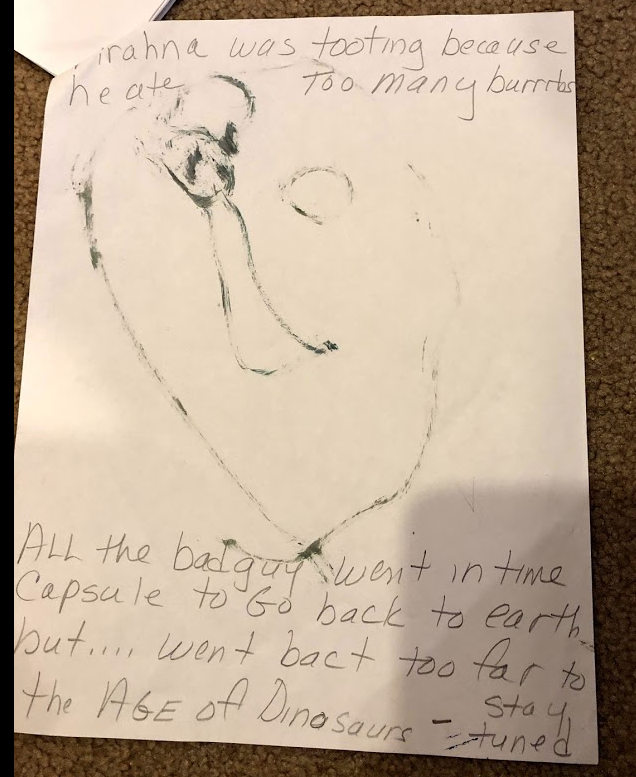 Megan’s actual writing does not capture what she can dream of and the stories she tells as a writer. Her written words are big and fill the page. They don’t always go left to right. 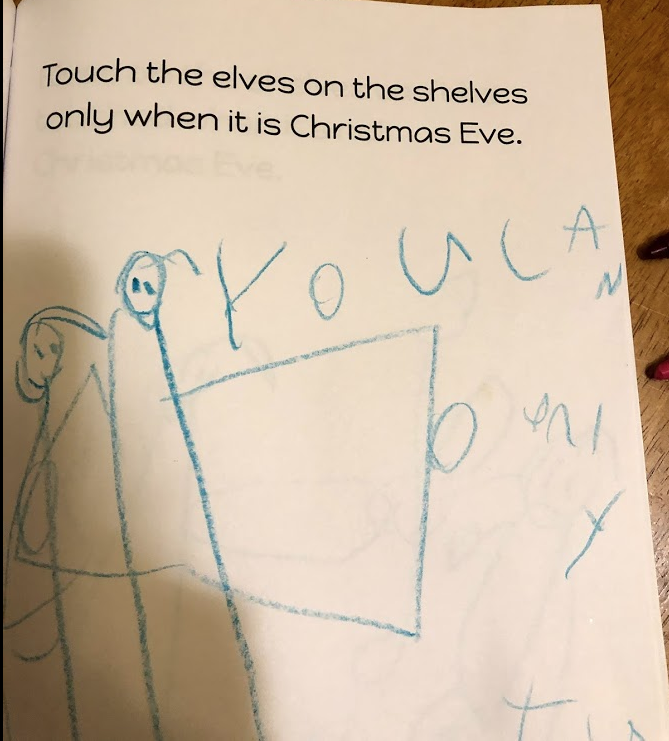 It would be challenging to read back what she wrote. Yet, the words she puts together in her mind- what she really wants to say- shows her growth as a writer and a person expressing her thoughts. 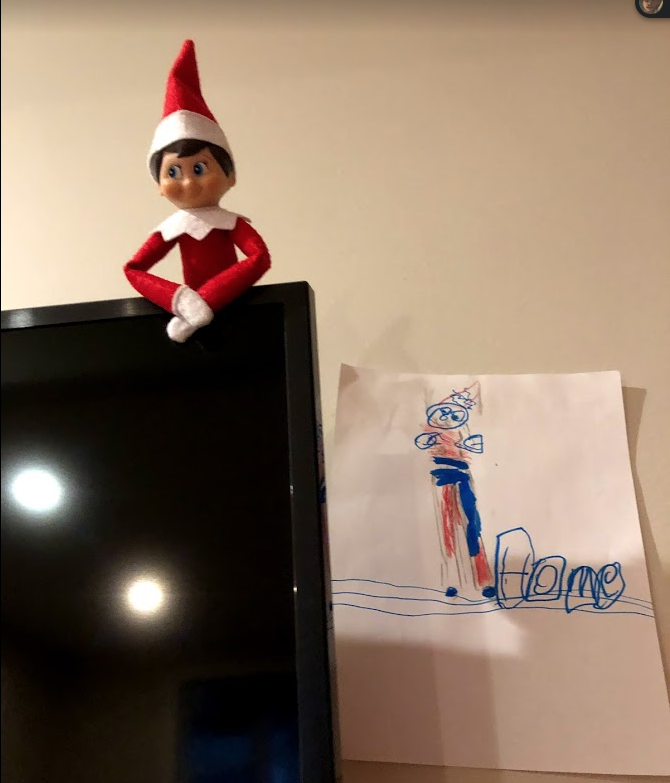 When our Elf on the Shelf, Smiling Max, returned this Thanksgiving to stay with us this holiday season, Megan created a sign for him. 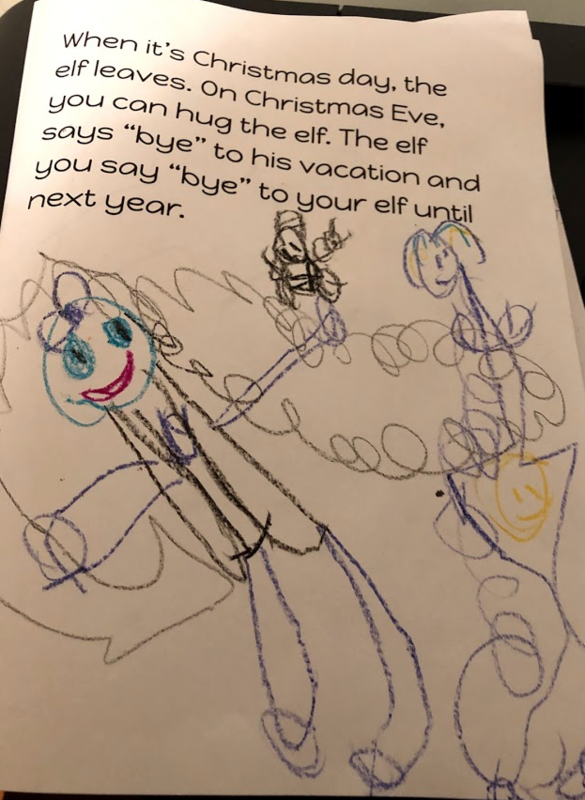 She drew Smiling Max sitting next to candles we have that spell out HOME. 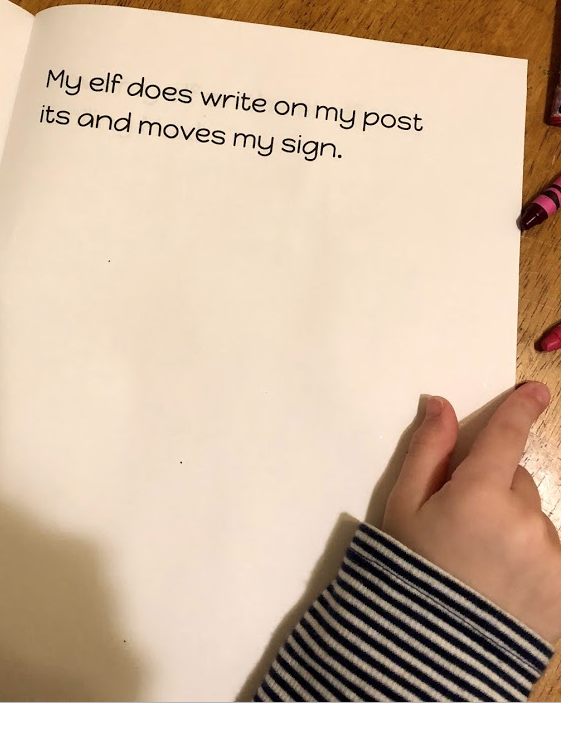 She insisted we write a book to mark the occasion of Smiling Max returning. 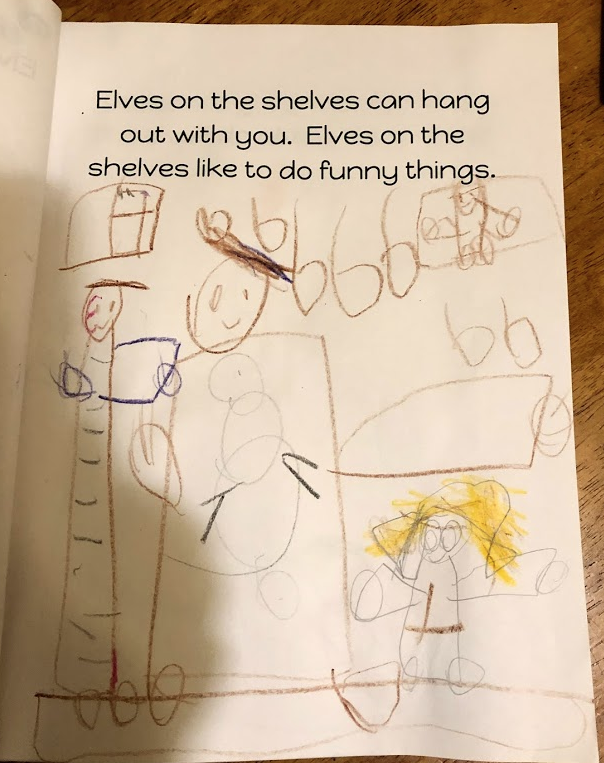 The first page she dictated said, “Elves on the shelves, from far and near, watch kids everywhere.” If I only looked at the words Megan could write by herself, I would miss the sophisticated use of language she conveys when she tells this story. 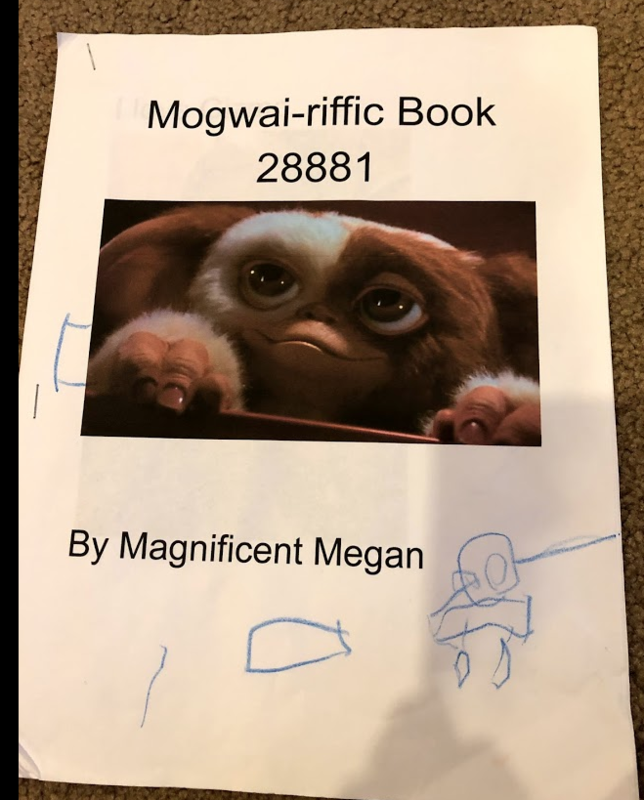 This page shows that Megan has been read to and has beautiful language stored in her mind, which she accesses to express her ideas. 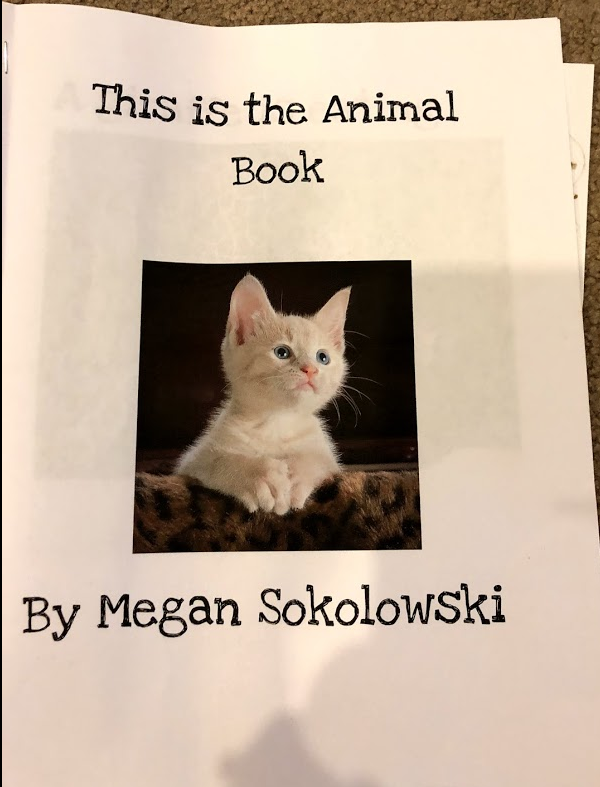 Megan believes herself to be a writer and I believe it too, She captures moments in life through words. 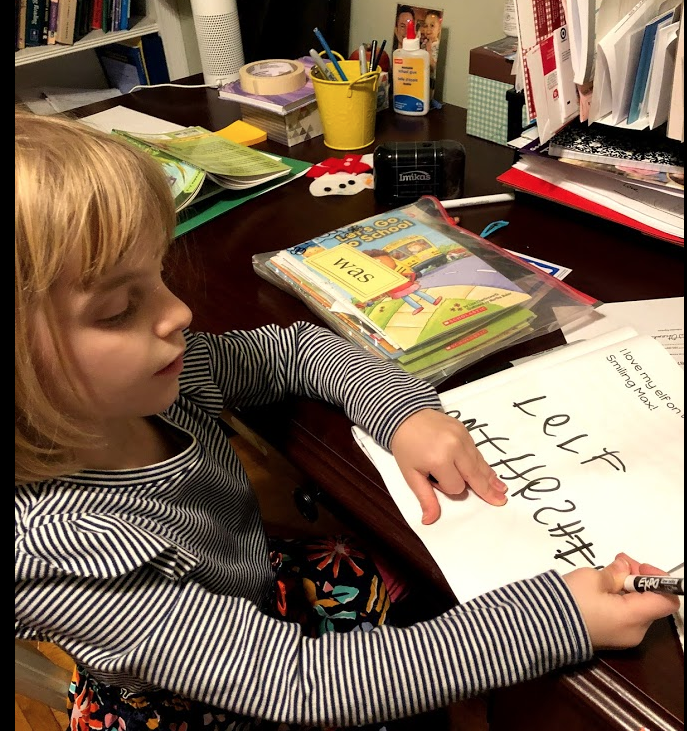 She believes in writing letters, making cards, telling stories, and making lists. 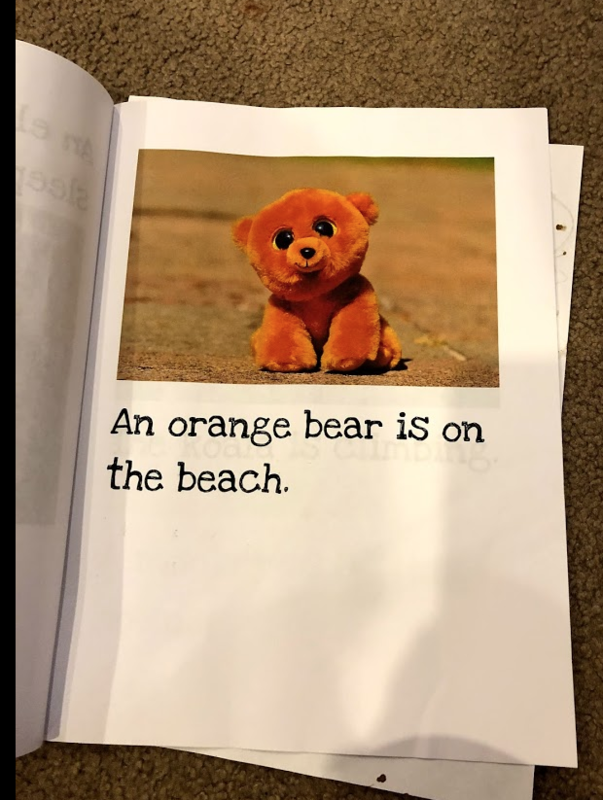 As she continues to grow in her literacy skills, I hope she maintains the confidence and knowledge that she is a writer. I hope she always feels compelled to share her stories. I’m holding out hope for a Caldecott in her future…someday. ‪Kathleen, I just love seeing Megan’s journey as a writer (and how lucky for her to have this documented to see on‬e day). You’ve fostered a true writer and it’s important for people to see how. Hope to follow in your lead one day as a mom! It’s such an exciting time! 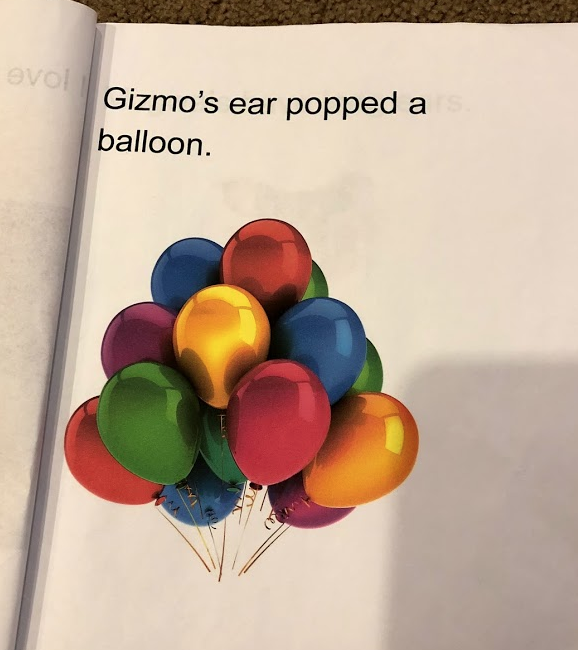 My 6 year old is becoming a reader and writer too. Thanks for sharing this. You are nurturing a true writer. So inspiring!